* Completely revised and streamlined for course use including expanded problems and exercises. * Content has been refocused on the critical aspects of project management. The Best Made Even Better! I have relied on this book for years as the single source for the critical project management information I've needed. The only way the author could have improved it is by streamlining some of the content. I bought my copy of the 8th edition - and he has done just that! This book has been completely revised and streamlined! It is still the best source of information for the PMI Certification Exam. I rely on it almost daily as an off-the-shelf reference while I'm on the job! If you have skipped buying Kerzner's book in the past because you've seen it all - now's the time to upgrade your library. If you have questions on any aspect of Project Management, this is the book to consult. From organizational behavior and structure to planning, scheduling and controlling processes vital to the successful practice of project management. Most of the vital issues are discussed in a thorough, thoughtful way. If the book has a weakness, it is in the area of Integration - in my mind, the most difficult section of the PMP exam. The book is not only written as an undergraduate and graduate students, but also functional and senior managers. Its structure reveals the author's apparent belief that the practice of project management is more behavioral than quantitative. His first five chapters lay the foundation for an understanding of project management principles. Chapters 6 through 8 deal with support functions of conflict and time management; chapters 9 and 10 deal with management support. Quantitative approaches to planning, time, cost and performance are developed in Chapters 11 to 15. Chapter 16 deals discusses trade-offs. The balance of the book deals with advanced topic and future trends. If your budget limits you to the purchase of one project management, this is the one to own. This book is not a how to. I had to use this book for a project management class. I can safely say that everyone taking the course dislikes this book. I could see this being used as a reference later on after one has a good foundation built in project management but as for someone looking to break in to the subject, without someone who is experienced in PMP standing over you explaining the confusing charts and graphs, this book would bore someone to the point that the rewards of project management aren't worth the torture of having to read this book. I am a 2nd-year MBA student taking a course in Project Management, and this is the required text for the course. The professor insists that this is the preferred text for PM courses at other universities, but everyone in the class (the professor included) is thoroughly unimpressed by this book. The first half of the book focuses largely on soft skills, and is mainly a rehash of the topics covered in a basic organizational behavior class, or even a psychology or sociology class. The material covered is very dry and very repetitive, and is almost entirely solid text, with few diagrams to illustrate the points of the discussion. The author also makes excessive use of verbose bulleted lists. Normally, I appreciate bulleted lists as an easy to read, concise way of conveying information, but this author often composes each bullet point as its own paragraph. Such an approach defeats the purpose of using bullets in the first place. The second half of the text does improve somewhat over the first half. It begins an explanation of the more tangible aspects of project management, including the creation of work breakdown structures, scheduling projects, making budget projections, and applying techniques to keep a project on track. However, the style of writing is still quite thick, and makes for a slow read. 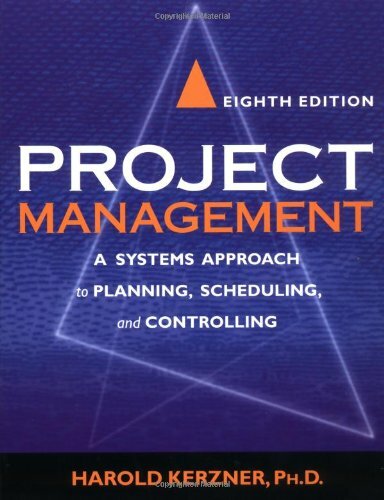 As of now, I have limited exposure to project management, and I have read no other books to which I can compare this one. However, I would be surprised if there isn't a better book on the market. Kerzner's book will eventually give you the information you're seeking, but you'll have to work hard to get there, and you'll need to wade through a lot of excess to get to the real meat of the topic. Comprehensive. One stop for Project Management knowledge. Several people I have talked to seem to have mixed feelings about this book. Most never get past the first few pages in the book and many are afraid not to have this book prominently displayed on their desks. The latter is to avoid someone mistaking them for a junior project manager. The best way to review this monumental book on project management is to list the most common arguments for and against the book. The book presents comprehensive knowledge of project management that you can substitute only by purchasing several books on the subject by other authors. Dr. Harold Kerzner is also one of the most respected experts on Project Management. Dr. Kerzner now has several companion books to supplement this main text book. One area that the book was considered lacking in the past was with regards to case studies. You can now buy his latest book that is dedicated to covering just case studies. The writing style is extremely easy to read and follow. Once you read his explanation on any topic, you will find that it is hard to disagree with him because his explanations are very compelling. The reasons many people have disliked the book - the book is too boring to read, it is too long a book, it is a compilation of bullet lists, there are not enough case studies (or problems/exercises), etc. I can't say anything about the first complaint because it is actually true but if you are in the middle of a project and have a burning question, I can promise you that is isn't so boring to pull up the relevant section in the book and find a reasonable explanation to your question. The book is very long because it is an exhaustive treatment of the Project Management field. There is no reason to read it in one sitting. Regarding being a compilation of bullet lists, it does seem that way. But when you have been in project management for a while and have an appreciation for the difficulty of the field, the lists don't get in the way. The author has enough explanations surrounding the bullet lists that I never found them annoying. To address the complaints regarding case studies, problems/exercises, there is now a book dedicated to case studies and I believe there have always been workbooks that he authored which contained more problems/exercises. A good approach to follow regarding the usage of this book is to buy it early on in your career but stop after reading just the first few chapters. As you are gaining experience and have been exposed to a majority of the project management field, it is time to refer to this book more often. I have followed the book through several editions over the years and looked up various topics as questions popped up in my mind while going through a project. I am yet to finish the whole book (this is my 7th year reading the various editions of his book) after all these years but I didn't expect to. It is a great reference book and I have been using it as one. There are better books to read on project management if you looking for a quick overview. 'The Little Black Book of Project Management' by Michael Thomsett comes to mind along with 'Project Management - Planning and Control' by Rory Burke. If you are looking for help with the PMP preparation, I highly recommend 'PMP Exam Prep' by Rita Mulcahy. Read my review on her book for more detailed information on taking the exam. 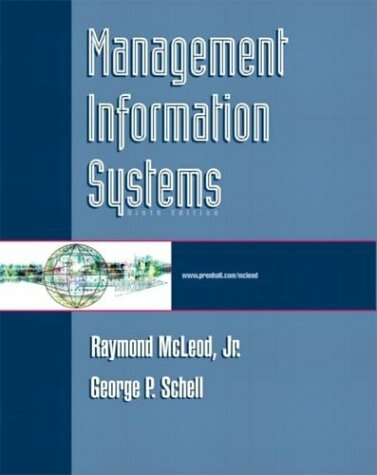 I bought this book for my MSc in Analysis, Design and Management of Information Systems and I consider that it was extremely helpful. The chapter about the perspectives of IS and the role of the CIO are very interesting. 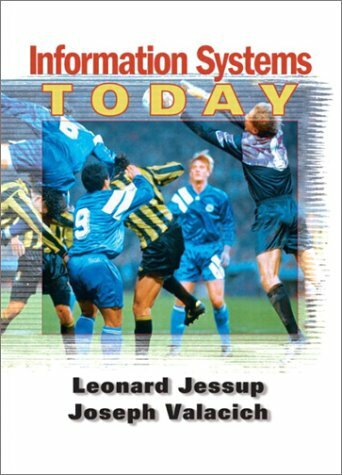 In the chapter about Information Systems Planning, they included lots of concepts related to strategy, linking IS Planning with six different approaches/techniques: Stages of Growth, Critical Success Factors, Competitive Forces Model, Value Chain Analysis, Internet Value Matrix and Linkage Analysis Planning. The chapters about managing systems development are really instructive also. I strongly recommend the book for those IT practitioners whom are seeking a managerial position. It is very useful to managers and strategists as well. I read this book as part of my first course in a Ph.D.-MIS program. I thought it was a great overview and history of MIS, and provided insight into alternative IS management styles and strategies. The case studies were relevent, current, well written and interesting. I recommend this book for all network and systems administrators. It gives insight into what thought processes should be occurring at the CIO and IS manager levels. This book provides various sources of information but no analysis by the book's authors. It is a patch work of case studies, excerpts, and paraphrasing of other texts to which I hope the original authors are getting paid royalties for. Some of the diagrams are simplistic, others are useless. More than half of them are from other sources. The book seems to formulate points of interest (e.g. traditional, evolving, and present-day IT roles) without providing analysis of why and how this affects future trends in IS management. I'm truly amazed this book is this bad after five revisions. The authors seem to have the right information, but they really need to provide their own insights and analysis. And also have my high school english teacher review it to cut the fluff out. 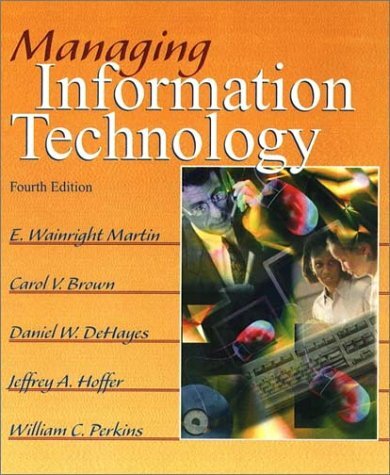 I had to buy the book for one of my class (information resource management) but as an MIS major I though we would get a little more into the 'management' part, and I was disappointed with the book as it doesn't go much indepth of the matter. It's a good theory book, let's say!! I used this book for a graduate course during the summer semester. Overall, I enjoyed the broad-based approach adopted by the authors. The numerous case studies were extremely useful also, as they adequately illustrated what the authors were trying to say. Emphasizing the practical application of control systems engineering, the new Fourth Edition shows how to analyze and design real-world feedback control systems. Readers learn how to create control systems that support today's advanced technology and apply the latest computer methods to the analysis and design of control systems. * A methodology with clearly defined steps is presented for each type of design problem. * Continuous design examples give a realistic view of each stage in the control systems design process. The best book in the field. This is the best book explaining Matlab in control engineering. 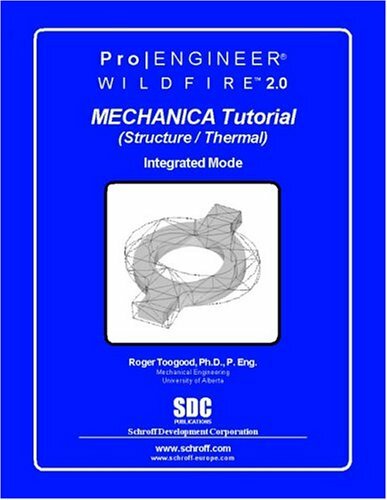 With this book and "The Student Edition of Simulink" you can do any simulations in control engineering. A must. As a contract engineer, I designed a brushless DC motor controller and my company needed a good reference for them to understand the control system. This was far better than all the books I read. Most people deal with low order control systems and don't want the math to get in the way of understanding the concept. 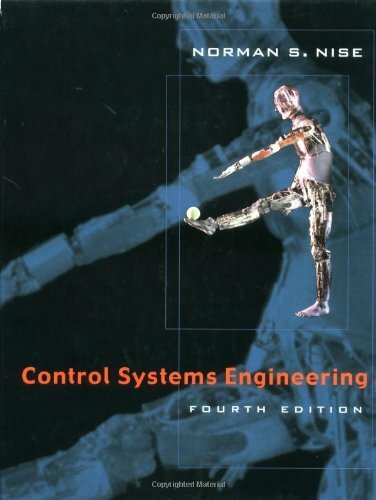 But control systems is a big topic and not typically well explained. This book is first rate from begining to end; It derives clearly and consisely all math. Builds a good tool set of common place real world examples. And, explians concepts clearly with good illustration. This is the best book I have read on Control systems and It is for anyone who has been confused by other undergraduate Control System books. It explains everything in great detail. Every topic has been "thoroughly" dealt with and has simple to follow examples. It does not cover State Space design and Digital Controls extensively, (offcourse you need another volume to cover these topics). However whatever is covered on these two topics is very clear and would be a good bouncing board for someone who wants to pursue control systems in depth. To me, the chapters on data modeling and use case modeling are the most valuable because I now see them in the context of process modeling. I am wondering if W. H. Inmon's book on the operational data store would help complete this "big picture." Readers of this book benefit from the very extensive experiences of the authors. The authors have seen it all and warn readers which roads are dead ends. This book includes both theory and prescriptions as to how teams can design and document processes and contribute to the alignment of technology with the needs of the organization. This book nicely sets forth a detailed methodology for doing swimlane diagramming for workflow business processing. This book is for analysts; the discussion is about the nature of business processes that have workflow as a key characteristic. It is not about the architecture of computer solutions for such processes. If you follow the methodology in this book and flesh out the diagrams with use cases (just briefly touched on here), you will have captured most of the requirements for a business workflow process. The book is nicely bound and well written. The authors have been around a while and the vocabulary and approach fit nicely with older concepts like business process reengineering. The authors are not unaware of the latest developments and "UML" crops up here and there but not in the index. The diagramming is very simple compared to UML activity diagrams. This is good reading for the domain experts on a team working on the requirements document and a nice primer for geeks who are forced for the first time to talk to the business side of an enterprise. Rarely do I get excited about books on workflow modeling. I have a few good books on the subject, all of which provide solid approaches and most of which are well written. This book stands out because it goes beyond merely "solid" or "well written" by giving one of the most comprehensive approaches to workflow modeling I've had the pleasure of reading. First, like most books on the topic, none of the components of the approach are new. What makes the approach refreshing is the way the authors take standard techniques and tie them together into a coherent process. Second, this book can be used as a workbook during a workflow modeling project, and is well suited to this because of the numerous checklists and diagrams that will prove invaluable every step of the way. Finally, this is the first book of its kind that incorporates use cases, making it invaluable to project teams that have standardized on UML (Unified Modeling Language)or wish to integrate an object-oriented approach into a workflow modeling project. If you're not familiar with use cases I strongly recommend Writing Effective Use Cases by Alistar Cockburn (the best book on the subject in my opinion); UML Distilled by Fowler and Scott is an excellent introduction to that subject if it's new to you. The approach is straightforward: frame the process and define its scope, understand the existing process (if there is one), design the "to-be" process and develop use case scenarios. I wish to offer one caveat at this point: if you are reengineering a process that is seriously broken you might consider skipping the "as-is" process. Understanding the existing process is useful if your goal is incremental improvement. Reengineering efforts usually radically transform existing processes, making efforts to understand them both moot and wasted. Some of the highlights of this book include the authors' clear definitions and way of decomposing complex systems into discrete steps and components. For example, they use a five tier view of processes that ensures you have a complete view of all issues and factors. The views are: (1) mission, strategy and goals (I personally extend goals further into Goal-Question-Metric), (2)business processes, (3) presentation, (4) application logic and (5) data. Note that the last three align nicely to a 3-tier client/server architecture. This observation clearly shows how coherent the authors' approach is and how it can foster alignment of technology to business requirements. I also like how the authors clarify the key issues in process design by pointing out six enablers that you need to account for during the analysis and design phase: (1)workflow, (2) technology, (3) human resources, (4) motivations and measurements, (5) policies and rules and (6) environmental constraints (facilities, external process capabilities, etc.). There is one minor point of disagreement I have between their workflow modeling technique and the one I use. The authors use swimlane diagrams (also called Rummler-Brache diagrams), while I use deployment diagrams. The difference? Swimlane diagrams do not capture phases or cycles. I always place workflows into the context of Entry Criteria-Task-Validation-Exit Criteria (ETVX), which is nearly identical to the TQM Plan-Do-Check-Act (PDCA) cycle. I insist on ETVX because it allows me to spot missing validation points in an existing workflow, and ensures that I clearly define entry and exit criteria, as well as validation points in a "to-be" workflow. Of course I am stating personal preferences - following the authors' approach verbatim will definitely result in a workflow design that is not only "bulletproof", but will align information systems and business process almost perfectly. This book is a gem. It's readable, full of ideas and, with the incorporation of use cases into the approach, completely up-to-date with respect to IS/IT methodologies. If you want a fresh, modern approach to workflow design this book is the only one that will provide it. The best book on applicacation development modeling to date. If you've ever asked the question: Is there a great book that teaches an excellent methodology for analyzing real world workflow, and then designing the application that will implement that workflow into an application? I've found the book that answers that question. I took a course in school that used this book and I really enjoyed the book and what it taught me about systems engineering. The authors do a great job of walking the student through the systems engineering process, and ginving a general overview of the steps. The later chapters expand upon this overview to give the detail needed to actually carry out the process. 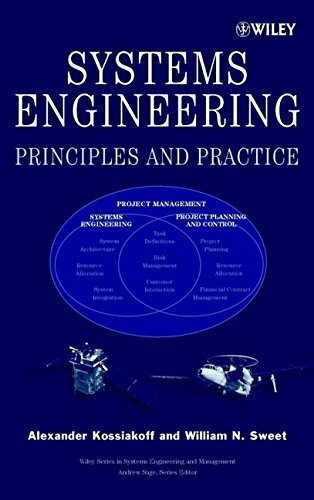 The last part of the book expands upon the "-ilities" of systems engineering which are the authors partiucalr areas of interest. I think anyone interested in systems engineering should get this book, its a great resource. A few things I didn't like was the constant referencing of graphs and figures from previous chapters, it really inhibits my learing when I have to keep flipping back and forth to follow a train of thought. There are also a few chunks of the book that are very, very hard to follow the logical train of thought and require meticulious attention to the detail, and often require rereading. I'm hoping the authors with put out an updated and expanded edition soon, that compensates for these shortfalls. I'm currently teaching graduate students and used this as a text book last semester. I suppose students have enjoyed this book very much. I appreciate the author and ...'s excellent work as well. 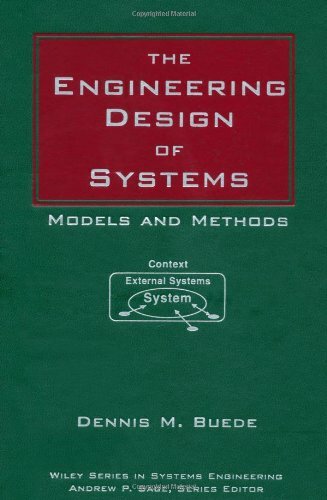 One of the early original works to attempt to define Systems Engineering, it still represents one of the best overall introductions to the multiple faceted discipline of Systems Engineering and Analysis. It successfully covers the broad range of topics associated with this field. It is also a good introduction as it shows how Systems Engineering evolves over the various phases of system development from concept definition to final testing. I think I have learned a lot from the book. Thanks.. It is a good book. This is literally the worst textbook I've ever used in my entire academic career. This book is jam-packed with jargon ("utilize"), acronyms (e.g.,"ERP," a term that the book does a poor job defining), and slashes. By slashes I mean, do you know how IT consultants love to use two synonymous words when one would suffice? For example: "I love/like to go jogging/running to the store/market." My MIS professor was a moron, however, so it's understandable that he would choose this book. IF YOU ARE A PROFESSOR WHO IS NOT A MORON, DO NOT MAKE YOUR STUDENTS SUFFER THROUGH THIS BOOK. Thanks. Dot-com startups as well as clicks-and-mortar strategies can be viable for B2B for B2C ecommerce if the applications leverage Internet technologies AND a marketplace strength. Aren't you glad you bought the book? You ALSO need a marketplace strength to be successful, not just the Internet stuff. Kinda makes you wonder, doesn't it? I am finding this book as an extremely useful reference tool for writing my senior thesis at Rutgers University (NJ) on the Internet and B2B transactions. I find it very easy to read and useful, and some of the case studies are very interesting and helpful. Some of the other buyers don't seem to think the book is worth its price but I STRONGLY DISAGREE WITH THEM. I believe the book is worth its price. This text has a tendancy to give misleading information or entirely incorrect information. Even in the most basic concepts, the authors misuse terms or create terms used nowhere else in the IT industry. The authors relay their lack of understanding for basic computer concepts in this supposedly 2001 updated edition. As an example for those who are literate in IT, the authors make statements such as "virtual memory is used only on larger computer systems". Got a 6 year old computer running MS Windows? You've got virtual memory. This textbook was a requirement for a graduate-level course taught by (guess who?) Dr. Betz. I had read the entire book before the class even started (thank god for coffee), and I re-read every chapter as the semester progressed. I received an 'A' on every assignment, which is good, considering that I was bored out of my mind with the material. The book has a few interesting anecdotes, and a lot of page-filler anecdotes. It is more concerned with scientifically correct vocabulary than giving context to concept in plain English (e.g. endless ranting about physical morphologies, schematic logic, and different flavors of paradigms -- YAAAWN). Overall, this forgettable piece of work is reflective of an uninspiring academic. 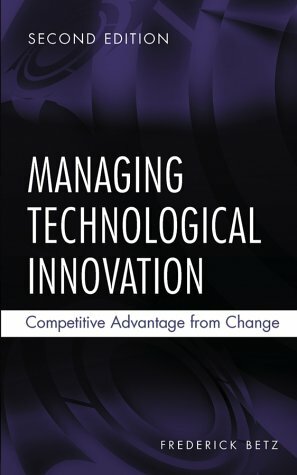 Betz's book qualifies as a "seminal work" on the subject of the Management of Technology. The book is concise and well-written. It gives the needed historical perspective on technology issues. "The gun ended the ancient dominance of the feudal warrior, and the printing press secularized knowledge. The combination of the rise of the mercantile class and the secularization of knowledge are hallmarks of modern societies." Betz brings together a lot of good research and presents it in a concise and stimulating format. He doesn't present the research as if the thinking had already been done. He ends each chapter with some questions for reflection. Having written myself on the subject of intellectual property law [in the International Media Encyclopedia Academic Press 2002, 2003], I was amazed to find illuminating case studies on the subject that I had overlooked. For example, Betz explains that the drug Penacillin was not developed commercially until WWII because companies did not want to undertake development costs without a patent. The Cathedral and the Bazaar. I find the book's case studies well written and very thought provoking. I literally couldn't put the book down. At the first reading I skipped the main text to read the case studies on Apple, RCA and Ford. not cheap, but worth-to-buy book. 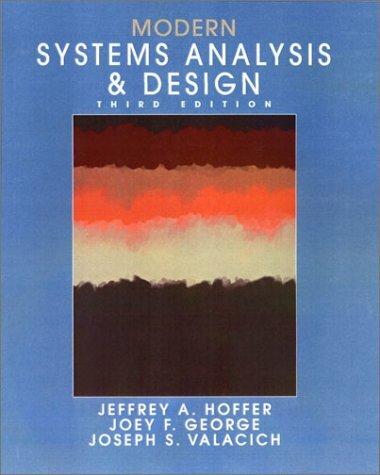 I just finished a system analysis & design course with this text book. A through-semester project was also done. Actually, I had a chance to compare severals book on System Analysis & Design. My bottom line for this book is that this book is the one currently most worth to buy. Its throughful and easy-to-understand explanation for each SDLC step, how it's applied in real business situation and all possible tools for each step, such as CASE, JAD, DFDs, E-R diagrams (Flankly, i think ER diagrams of this book need more improvement..) and so on. All are really good to catch out clear concept to understand 'what is the system analysis & design' and 'how it works'. If you want to buy a book delivering clear concepts of system analysis and design and how it works in real business situation. I recommend this book. But, If you want very specific, in-dept or new-kids-on-the-block kind of topics for System analysis & design, I don't recommend. Jeffrey Hoffer put together a strong book with his co-authors. I have not only used this text in the class room, but have had Hoffer as a professor. Let me be the first to say that this man knows his stuff. Beyond that, this book was amazing, it has covered anything in the systems analysis and design stages that I have seen and used in the real world. Unfortunatly his focus during codeing programs, is on CASE rather than modelers (Which is becomming a stronger trend in more innovative, fast-paced markets). This is a good book as these things go. It's not an easy read, for reasons I'm not all that sure why, but it's chock full of decent stuff. The chapters on logical & physical database design in particular make a hard slog out of what many already know intuitively. There's the wiff of big IS departments about this book - an environment which has largely had its day. Real systems development just doesn't work as methodically or logically as presented here. I was, however, impressed with how the author would admit real-world reasons for why the presented theories don't always happen. Its biggest problem is its size. A condensed version could take the most salient points and be half the size of this tome, and the rest could be put in another add-on book. It would be much easier to read physically, and probably seem less intimidating. The index is pretty ordinary. If they ever do a 4th edition, this is one area that needs work. Terms like "Physical Context Diagram", "intelligent key" are dropped in the text, but not indexed. Actually, "intelligent key' is never even explained. I was just reading some of the other reviews and was surprised to discover this text is also used for Master's level classes. I'm pursuing my BSIS through distance learning, and this book was used for a recent class. Although I sometimes struggle with reading texts because they are not as exciting as the nearest fiction book, this was surprisingly easy to make it through. I didn't get lost in long paragraphs and obscure explanations. It gets a great big thumbs up from me! This book does an average job of presenting what is somewhat 'deadly boring' material. Considering what they have to work with, maybe this is the best we could expect. I'm the reviewer from Kansas City, MO. I've used this book for 2 years, but am now switching to the Laudon textbook. The McLeod text is just not keeping up with the times, he needs a strong rewrite. This book addresses systems engineering tools and methods needed for building complex systems. Our systems have gotten much more complex, more inter-coupled than they were decades ago --think of the recent (Summer '03) East Coast power failure. Systems Engineering tools, techniques, and education must progress to address the new complexity. This is why Buede's book is invaluable. He has digested much of the current state of thinking regarding systems engineering practices and concepts, and made them available. This book reflects where systems engineering is going. It is written for practicing systems engineers who deal with complex systems, and for students who have someone leading them through the subject. Persons who engineer complex systems will find this book valuable. The subject of system engineering has many facets and paths to reach an implemented 'system'. This book covers the subject thoroughly and is supplemented with student problems. This book will give anyone a firm grounding in the formal approaches to the subject and a basis for moving into system engineering practice. Highly recommended. The worst text book for system engineering you could ever buy. Concepts are vague, the text could have been much simpler, and the concept much clearer. I bet that you can read the book many times over and still not know the basics of system engineering. 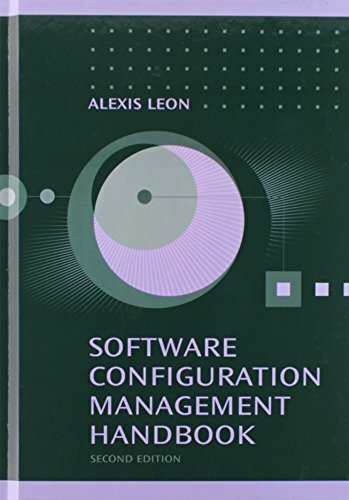 This completely revised edition of an Artech House bestseller goes far beyond other software configuration management (SCM) books as the only complete guide that integrates SCM principles, advanced topics, and implementation procedures in one accessible resource. The second edition has been greatly expanded with new chapters on documentation control, product data management, SCM standards and software process improvement models like CMM, CMMI, BOOTSTRAP, ISO SPICE, and Trillium. 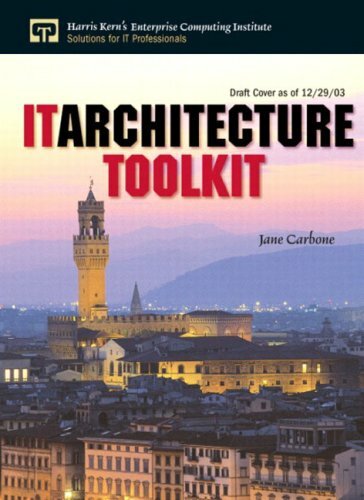 Jane Carbone provides a practical guide to implementing Enterprise Architecture. The book is drawn from Jane's extensive experience of developing enterprise and data architectures. 1. A business framework for collecting and analysing key enterprise business information. This entails defining current and target business states and, identifying gaps and opportunities. 2. An IT framework for translating business opportunities into plans. This entails defining principles, models, listing key IT resources and standards. 3. An implementation framework for delivering Enterprise Architecture projects. This entails identifying, selecting and prioritising projects. 4. Key implementation activities including defining and establishing metrics, gaining buy-in from executives and IT staff and, detailing governance processes for enabling compliance. 5. Key architecture processes, roles and human resource policies. 6. Enterprise Architecture deliverables. This includes: the IT plan (updated at least annually); an annual financial plan for IT; a project architecture assessment; a quarterly update and presentations. This book is an asset to anyone who is grappling with the implementation of an Enterprise Architecture capability within a large organisation. It provides a holistic view of information governance centred around data. It is particularly relevant for people engaging in regulatory and compliance initiatives such as Sarbannes Oxley and Basel II. Lastly, Jane has written a handbook for practitioners, it is written in a clear and concise manner. It exudes the experience of someone who has learnt Enterprise Architecture the hard way! Finally - a book about Enterprise Architecture that steers clear of theoretical discourse and provides a practical, useable and clearly achievable approach! The components of the Toolkit are formidable and pragmatic - the guidelines and advice on Architecture Models (chapter 7) and Project Implementation (chapter 10) alone are worth the price of the book. And I was delighted to see data given equal time with functions and platform - this is an area that so many IT architecture plans either totally miss or grossly underestimate. But it's the lessons learned (provided throughout the book) that really drive the points home. Ms Carbone's conversational style makes the approach seem more credible and the examples more resonant - it's the literary equivalent of standing around the water cooler and discussing the latest IT strategy, warts and all! This is ultimately a good thing, because it's presented in a constructive fashion - it makes the reader assess not only how they approach IT architecture, but also the pre-conceived notions they have about it, and provides realistic solutions to typical roadblocks. Ultimately, this book should be required reading for both IT architects and their business clients, because it provides a common understanding of IT Architecture's purpose and the important role that each group plays. This book is the first that succinctly get to the heart of enterprise architecture, the benefits, the reason to take the time to plan. This book is perfect for both the business side of the house and the IT community to come together and realize the benefits of doing it right the first time. This book will never leave your desk and will serve as the model for everyone to use and follow. I've used a number of approaches to architecture, including the Zachman Framework, the RUP 4+1, SEI's ATAM, and a plethora of others. I was skeptical that this book was going to add anything of value to the art and practice of architecture. I was wrong. This book gives a realistic approach to architecture. Better, with minor tailoring it can be applied to any of the more mainstream methodologies, and does so because it is a toolkit of methods more than a formal methodology. Of course, if you are not using one of the plethora of architecture methodologies, this book's approach will also serve nicely as a standalone methodology as well. The approach is based on "Infomajic Enterprise Architecture Toolkit", which was developed by the author's company (Infomajic). In some ways the approach is a scaled down version of the Zachman Framework - indeed, there is a fairly detailed comparison between the two starting on page 11. There are three main stages to the architecture toolkit, (1) connecting the architecture to business, (2) developing the architecture itself, and (3) implementation strategies. The latter is what sets this book apart from many which focus on 'fun' stuff and gloss over the gory details associated with implementation. Each step within these three stages are thoroughly discussed in great detail, yet the author's brisk writing style makes even the most mundane aspects highly readable. Key aspects of this book that I particularly like include copious real world examples, width and depth of the content, and outstanding use of charts and tables to convey information. In addition to the detailed approach in the body of the book, the nine appendices are invaluable aids, ranging from interview outlines, to estimating work effort guidelines, to sample job descriptions and architecture assessment workshop outlines. Regardless of which architecture methodology you are using (or are committed to using), you'll gain many useful ideas from this book. If you are searching for a viable methodology, this one is complete and has been proven in the real world. This classroom-tested approach is based on a successful course at Johns Hopkins University, originally developed to serve the needs of Westinghouse Co.
* Provides an excellent entry-level approach to understanding how to minimize complexity and maximize efficiency in industry and business. "This book sheds light on one of the most challenging topics for corporate officers how to create and manage a high-performance IT department and obtain higher returns from technology-invested capital. The techniques and tools provided show how senior managers can work effectively with CIOs and IT directors to produce outstanding results. The approaches described are must-reading for non-technical executives with a stake in IT, as Baschab and Piot have taken pains to focus on the critical management concepts in IT without over-simplification." "In The Executives Guide to Information Technology, Baschab and Piot clearly identify the challenges inherent in many IT organizations as seen from the front lines. Guiding the reader through the day-to-day challenges, and developing a strategic, step-by-step plan make this guide a key part of every front-line technology managers toolkit." Bill Holt, Enterprise Engineering Manager, EDS Corp.
"Baschab and Piot have achieved a good balance between academic rigor and field-tested practice regarding the effective management of corporate technology departments. Their topical structure and process-oriented approach to each topic are directed at improving execution and high-stakes IT decisions such as vendor selection, technology standards, IT staffing, and performance measurement, while their real-world anecdotes provide context and variety. The book is appropriate for anyone interested in harvesting the heretofore largely untapped potential of IT, including those in capstone management of IT courses or for graduate students seeking a senior-management viewpoint on IT." "This book is a valuable resource for management and technology consultants who want to understand what is on the agenda of their clients, from IT management to the executive board. 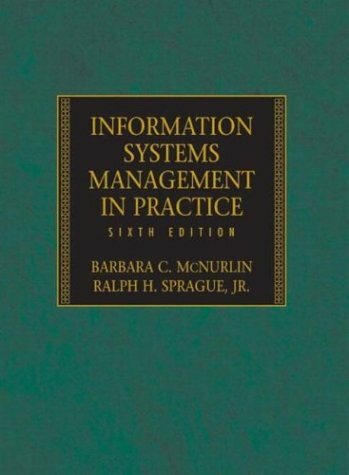 The authors have vividly captured the key elements of the non-technical aspects of managing the IT department and provide prescriptive advice for ensuring the highest return on corporate IT investments.Recommended for consultants of all stripes and sure to have an immediate impact on the value consultants can deliver for their clients." 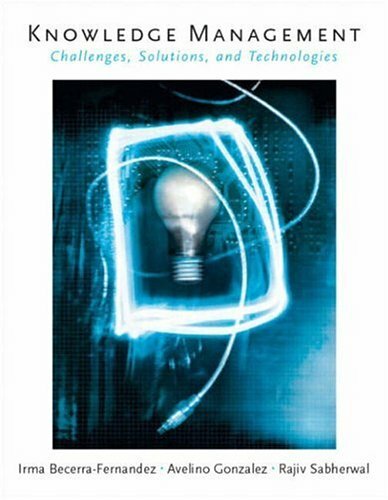 This is an excellent book with regard to understanding and managing technology. Each chapter is filled with so much information, it begs the reader to slow down and soak up the surprising and insightful statistics about IT. What's so unique about John's book is that he's writing to thousand of IT professionals, and yet it feels as if he has spent time in your department interviewing your staff and clients personally. That's how poignant this book is. John's ability to explain complex and dynamic problems in easy to understand language using anecdotes and allegories is uncanny. The book is founded on fundamental truths and principles that have been around for ages. It's John's ability to bring these principles to life by practically applying them to the circumstances we face very day. This makes the book both practical for the here-and-now as well as the IT professionals of tomorrow. I have used many of the templates suggested in this book and find them easy to understand, quickly deployable, and readily accepted by team members and clients. It's surprising, but it is the simplicity behind the templates that makes them so usable and effective. As mentioned many times in the book, applying complex technological solutions to simple requests is a common problem within IT. This book is like an IT bible. It's not something you read once and put on the shelf. It's something that should be referenced often. Whenever you feel you might want to consult with Booz.Allen or McKinsey... reach for this book first. I am the CTO of a small financial services company. I read this book to see what recommendations the authors were making about IT organization and use in larger firms, ostensibly as a roadmap for where to take my department. Many of the ideas within the book (change controls, division of labor, alignment with business goals) can be found elsewhere, but Baschab and Piot have pulled it all together created a reference guide for IT managers. Based on my personal experience, many of their recommedations are on target. Most small- and many medium-sized organizations can benefit from their recommedations, although not without modification. It can only benefit an IT manager whose department is growing to be alert for instituting the ideas Baschab and Piot discuss, especially concerning controls, risk and organization. One final note: it would have been interesting for the authors to discuss how small IT departments should implement their recommendations as they grow. I am about half way through this book, and I have to say it has been a life saver. I found other related books to be too entry-level to be helpful, but this book seems to hit the target with some heavy-duty advice for the experienced IT manager. Two texts from Michael Porter, the book Competitive Strategy and the article What Is Strategy?, are essential for understanding the relationships among industry structure, firm strategy, and competitive advantage. An extremely lucid overview of the current state of thinking about business strategy can be found in Richard Whittington's What Is Strategy - and Does It Matter? Gary Hamel and C.K. Prahalad provide insight into the relationship between corporate capabilities and competitive advantage in their classic article The Core Competence of the Corporation. On the technology side, Porter's Strategy and the Internet diagnoses the failures of e-strategy. Carl Shapiro and Hal Varian take a cold look at the economics of digital business in Information Rules. For a lively account of the commercial and social impact of the telegraph, see Tom Standage's The Victorian Internet. 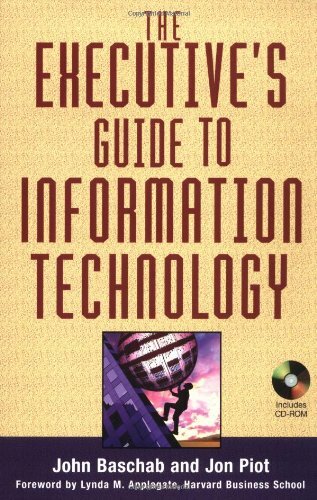 For a solid, practical overview of corporate information management today, consider Jon Piot and John Baschab's weighty The Executive's Guide to Information Technology. This book has all the practical advice that I wish someone had told me at the start of my IT career. Instead of another course on programming or the 15th version of some algorithm, this book has the stuff that helps you think like an executive and move forward in your career. The topics covered include everything you need to know about how an IT department really works - operations, applications, networking, etc. at a non-technical management level. A good book to buy if you are an IT exec or want to get there and run with the big dogs. The author's depth of experience in optimizing corporate IT departments clearly shines through in this well-written guidebook. Their philosophy for optimizing the IT function is unique and is a refreshing break from many of the "how to boost ROI" books frequently found in this genre. The text is obviously written from a perspective of a CEO/CFO/CIO, but the information is applicable at all levels in corporate IT departments and is particularly useful to IT consultants advising executives responsible for corporate technology. In addition to their unique perspectives and philosophy, the book is loaded with pragmatic advice and methodologies that can be used immediately to put their advice into practice. For example, I found the chapter on vendor selection especially useful and immediately actionable. Using their comprehensive methodology, I was able to help my client effectively move through what would have otherwise been an arduous and oblique process while avoiding some potentially very expensive pitfalls. This chapter alone was worth the price of the book. I ordered this book because my company has been given a task to review another company's system architecture of a large warfare system and was looking for some structured and mainstream guidance for the team to establish "goodness" of an architecture. Unfortunately, being in a bit of a hurry, this book frustrated me with its lack of practical criteria for evaluating architecture to make real corrections and decisions. It has a lot of thought provoking heuristics that might make you a hit making speeches or at INCOSE cocktail parties but won't help you actually complete or evaluate an architecture. As a Systems Engineer with 20 years in the business doing large scale defense systems, I am still in awe of the lack of defined guidance in how to transcend from the requirements to the architecture. That is where the magic happens in product development. The magic that ultimately determines if your product is technically a winner or a loser. This book doesn't get you any closer to that magic. This book is probably the most abstract one on my Software Architecture bookshelf right now. Each page in this book takes twice as long to read as a page from any of my other, more technical architecture books. Another book might say "Use UML, everyone else does"; while this book says "Given a particular model set and language, it will be easy to describe some types of systems and awkward to describe others [...]". Time spent reading this book is a good investment in my opinion, but only if you read it at a moderate pace and reflect. The listing and discussion of heuristics is especially valuable. For example, "The greatest leverage in architecting is at the interfaces" is a good heuristic and the book has an appendix full of them. Not only that, this book offers good discussions of what each heuristic means and why it applies. Review: This is a great overview of the subject of systems architecture. It is already highly regarded in the systems engineering community. It is rich in useful detail. It gives a comprehensive historical view of the discipline. I found a large number of specific insights about the nature of architecture as opposed to engineering. The collection of over 180 heuristics is an interesting framework for the text. I can highly recommend it as a study to both novices and seasoned professionals. The guest chapters on political process and systems architecting (Brenda Forman), and The Professionalization of Systems Architecting (Elliot Axelbrand) are both valuable additions to the immense vocabulary of the authors. If I have one quibble it is that the book correctly insists on quantification of performance attributes as the only proper basis for architecture, certification, and engineering. But it so often denies the measurability of so called 'soft' values - and remarkably includes things like 'safety', and 'environmental impact' in that category. I fear that setting too high a standard for quantification leaves us with mere ambiguous words. This of course is a widespread problem. I disagree, and will take up the discussion with the authors and the community - as I already have done. In addition I find a complete lack of examples, or discussion, about how 'multiple performance and cost attributes' can be used by the architectural level to understand the architectural problem. There are far too many non-quantified models, and far too little insight as to how a systems architect would deal with the quantified attribute requirements of a system. Maybe in the 3rd Edition? This is a good book. It has some brilliant insights. It also has some mundane material. 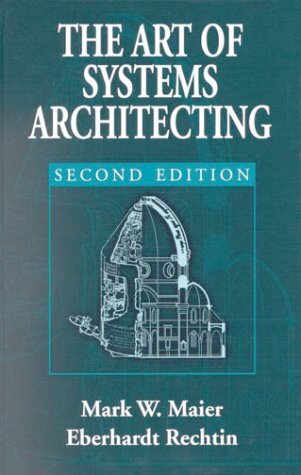 It's the only book on SYSTEMS architecture and should be read by all architects as well as systems engineers. Software engineers could learn from it too. As a start on describing systems architecture (as opposed to technical or business architectures such as software, hardware, security, information, network, etc.) it does a superb job. What I would like to see is more. I sense from the books footnotes that some material from the first edition has been elided. A third edition should include recent journal articles viewpoints and any material the editor cut from the first edition. There are many useful insights and a good overview of systems architecture. The definition of systems architecture was good. I found no significant errors although some of the material included was not as relevant as some that was omitted. Newer material that has been published in journals needs to be included. I would like to see a better relationship drawn with systems engineering, business strategy, six sigma techniques, etc. Some of the material included may have some architectural significance but that was lost in describing systems engineering and quality approaches rather than contrasting and comparing them with SA. Perhaps a systems engineering companion book to be read first could handle this sort of material. The heuristics were excellent but incomplete. This is not a fault of the author but the fact that the field is new and just being documented. The examples used were those available. I would like to see others but many people will not let that information out for use. Certainly an example of business as a system and noting how systems architecture relates to business strategy would be a useful addition. Some minor glitches such as not defining acronyms before use were annoying but did not impede learning. I would like to see appendices with summaries of the standards referenced. I would like to know a lot more about the schools, curricula, and courses relating to SA that were mentioned. The research seems incomplete. The sources used were used well but there are others that did not get used. Some used did not seem to be as pertinent. I wonder if the editor gave the authors a deadline so they could publish the second edition. This is a good book. It can be better. Hopefully a third edition will fill in and extend the coverage, provide additional examples and more subject matter for reference in the appendices. If you have any interest in systems you should read this book. It would be 5 stars except that it could be improved. Since there is no other competing book it is infinitely better than the alternatives. Other books drop down an implementation level and do technical or business architectures even though they label the book as systems architecture. Those would make good follow on reading for domain and discipline engineers but all engineers should read this book. The Artech House bestseller, Critical Chain Project Management, now builds on its success in a second edition packed with fresh, field-tested insights on how to plan, lead, and complete projects in "half the time, all the time." It provides you with expanded coverage on critical chain planning, multiple project selection and management, critical change project networks, OPM3, new Agile and Lean techniques related to critical chain project management (CCPM), and effective strategies for bringing about the organizational change required to succeed with this breakthrough method. This cutting-edge work gives you full understanding of the CCPM techniques, tools, and theory you need to develop critical chain solutions and apply them to all types of projects. You get clear instructions on how to build single-project critical chain plans and how to stagger projects in a multiple-project environment. You also learn buffer management techniques for avoiding the pitfalls of committing too much or too little to any specific project, and for meeting project time and cost commitments every time. Moreover, the book integrates key features of PMBOK (Project Management Body of Knowledge) with critical chain to help you master key project management skills not covered in other critical chain books, such as scope control and risk management. He leido Cadena Critica (Goldratt), Project Management in the Fast Line (Newbold)y Critical Chain Project Management (Leach). Este ultimo da la explicacion mas exacta de las aplicaciones que tiene la Cadena Critica a la Gerencia de Projectos. Leach define clara mente que CCPM va mejorar el projectos en su totalidad (system thinking), reduciendo costos, tiempos de entrega, incremeta la confianza del equipo de Gerencia del Proyecto en tomar desiciones y sobre todo reduce la variabilidad de este. Un par de puntos en los que les falto trabajar mas a Leach fue en la aplicacion de Cadena Critica en proyectos multiples y dar mas sustentacion a la estimacion de tareas 50/50. I read Goldratt's Critical Chain and was interested but had no idea what to do next other than pay him a bundle of money for a seminar. Not the problem here. Now I understand what they are proposing and I can explore these ideas further without forking up more money... at least until I need some good training. Which has it's place... after you've decided to committ. 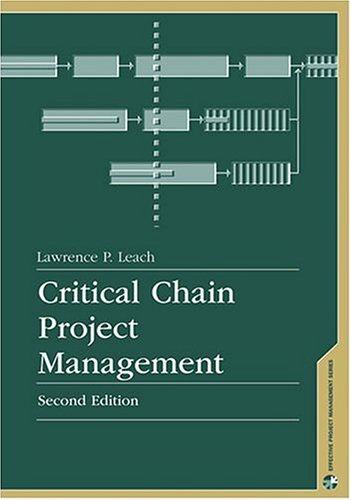 Review of "Critical Chain, Project Management By Lawrence P. Leach"
Critical Chain by Lawrence P. Leach is a must read for anyone working on a project, managing a project or managing an organization that manages projects. Mr. Leach in the first three chapters provides a thoughtful well-researched description of the need for a better way to manage projects. He provides a well reasoned argument for the need to change the process contained in the Project Management Institute's (PMI), Project Management Book of KnowledgeTM (PMBOK). Mr. Leach does a masterful job of weaving Total Quality Management (TQM) and Theory of Constraints (TOC) into project management. Mr. Leach then builds on this "learned" development and provides a very complete and knowledgeable primer for the process of planning and managing a project. The process he describes is complete and easy to understand. If your organization is using project management tools and is still embracing Critical Path Method for scheduling and schedule control the information contained in this book should give you food for thought and the reason for swithching to Critical Chain. Books covers TOC integrated into Project management, with further integration of the TQM principles. Takes what was discussed in Goldratt's "Critical Chain" novel and puts it into a How-to format. Worth every penny! The Best Book on Critical Chain Yet ! If your organization finds itself mired in delays, budget overruns, and exhausted staff 'running around in circles,' critical chain project management (CCPM) deserves your serious consideration. An excellent start on the road to dramatic improvements for managing your projects, this book by Mr. Leach includes his practical experiences and numerous tips for successful project management using the renowned Critical Chain approach created by Dr. Eli Goldratt. A key component of this work is the implementation plan, which will jump start your planning for the breakthrough solution to projects mired by bottlenecks and will set you on track for a process of ongoing improvement for your portfolio of projects. This newly revised edition of the ground-breaking Artech House bestseller, SIP: Understanding the Session Initiation Protocol offers a thorough and up-to-date understanding of this revolutionary technology for IP Telephony. Essential reading for anyone involved in the development and operation of voice or data networks, the second edition includes brand new discussions on the use of SIP as a wireless communications protocol and mobility technology. Professionals find details on the latest application areas such as instant messaging. 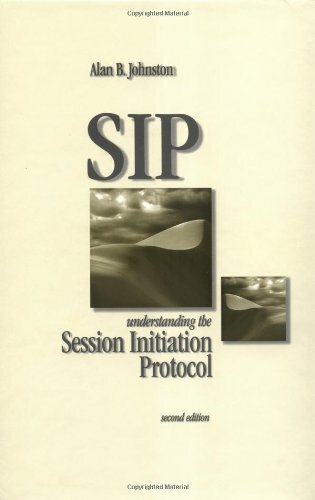 The information contains in the book makes it a pretty good primer on SIP. The organization of the book and its content is very good. The language and ways in which the author explains certain things are confusing. I think the author should be able to do a much better job in explaining things. I often find myself having to re-read certain explainations twice and much carefully when I feel I shouldn't have to -- the topics are not complicated but not well explained. Someone like Doug Comer or Richard Stevens would probably be able to make it a much easier read. Really enjoyed this book - easy to read, and the examples emphasized the points he was trying to make. The only negative is the cost of the book ... I got mine from the library, and was shocked to see how much this was selling for. After you understand SIP, this would be a decent reference book, but not the best. This book simply summarizes some of the SIP RFC into more user-friendly english. It consists mostly of lists of SIP headers and error codes, lifted from the RFC. There is no sample code or discussion of SIP applications or architecture. Of course, the RFC is pretty hefty, so this book has been a useful introduction. I still use the RFC as my real reference, though, because there are some minor discrepancies between the book and the RFC, such as some error code names. I've read and reviewed a great deal of technical literature, and found Dr. Johnston's book to be a detailed and well-written introduction to an extremely complex protocol. Without over-simplifying, Dr. Johnston, manages to convey a great deal of information in a style of writing that is lively and engaging (and that's a real breath of fresh air, compared to similar books on the topic). I plan to put this on the required reading list for my next class on the subject. I found the book useful as a backup reference to the spec, but not the best explanation I have seen. It was at times slightly confusing, and found that I was constantly referring back to the SIP overview in D. Collins "Carrier Grade Voice over IP" (which is very well written). From an education perspective, it was a little like a dictionary for SIP that explained concepts such as what a given header was for, but gave little info on how it is used, or what the industry is doing. There were some call flows, but they were sparse with a few mistakes. Further, they were either very base, or very comprehensive, and did not cover many of the questions I had. In summary, if you are looking for a readable reference to help with the not so reader friendly RFC, this is pretty good. For learning how SIP is being imlemented beyond basic call handling, keep looking.